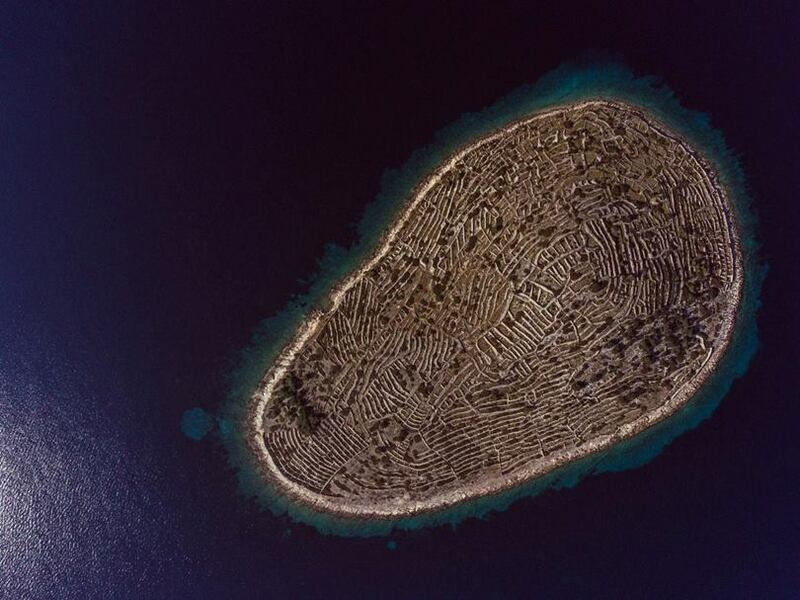 Croatia has 79 large islands, over 500 smaller islets and another 642 small rocky peaks and covering an area of about 3,300 square kilometers. 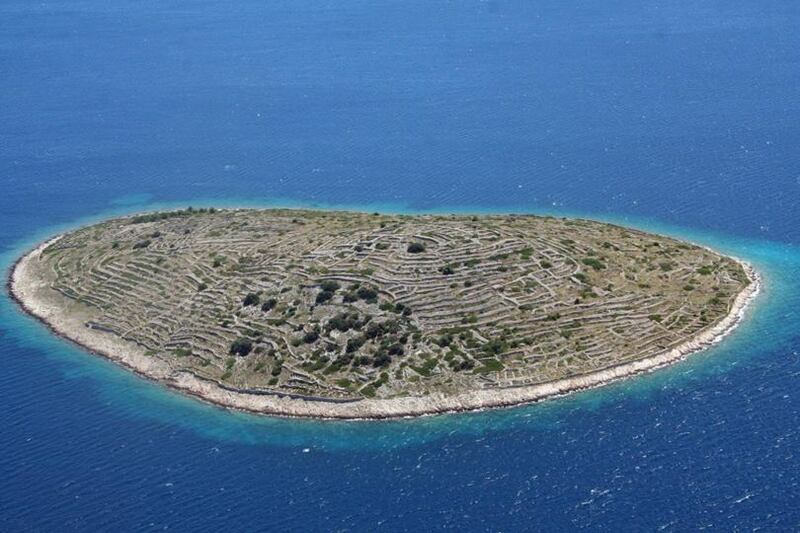 Of these small islands is Baljenac or sound like Bavljenac, situated in front of the Dalmatian coast, to the south of country, and that forms part of Šibenik archipelago. 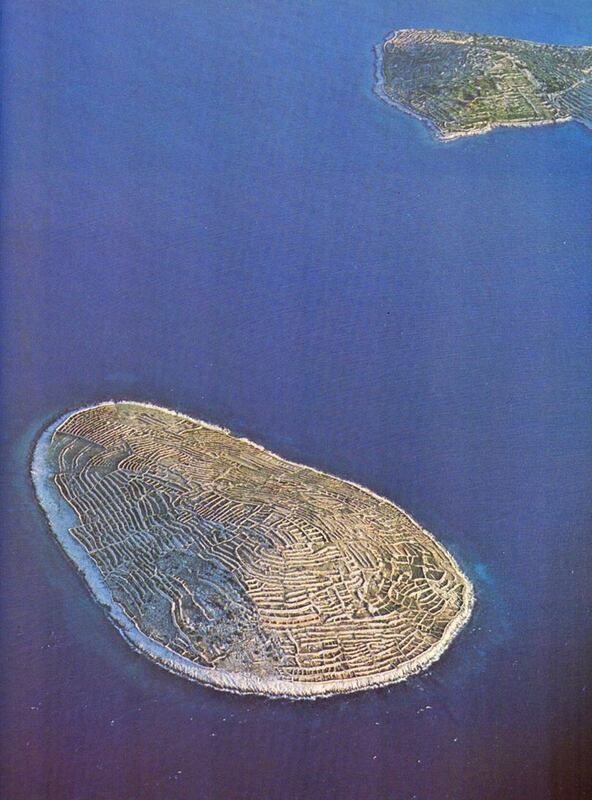 It hardly has 0.14 square kilometers of surface and a length of coast of 1,431 meters. 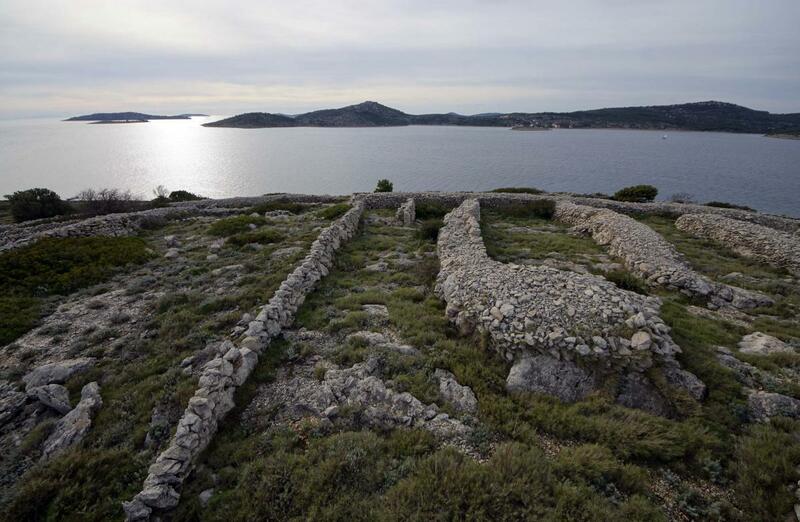 It is uninhabited, but recently Croatia requested its inclusion in the list of UNESCO World Heritage sites. 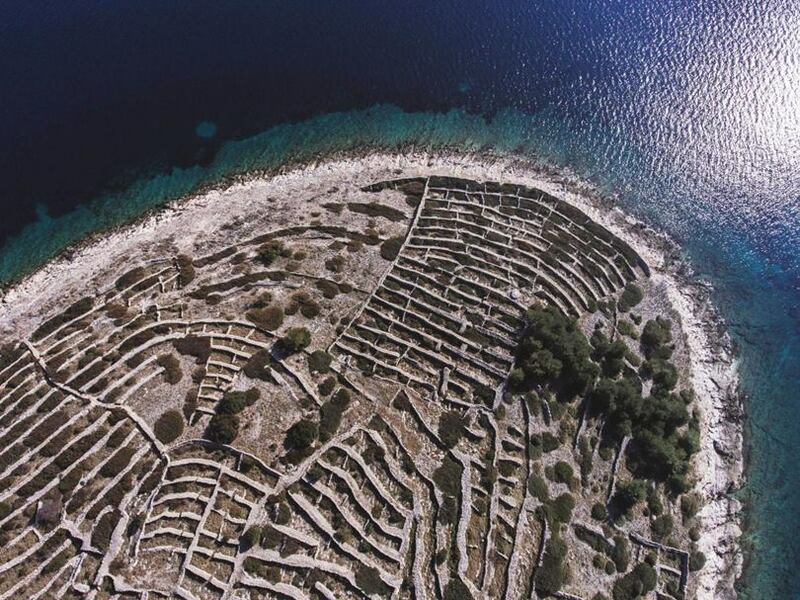 The stone walls of Baljenac island is an example of this story and tells us that, in the 16th and 17th centuries, during the Ottoman conquest, the island served as a refuge for the Christians who began to build, stone by stone, a network of walls to protect themselves although it would not be until the 19th century and thanks to the Agriculture, when it reached its current appearance that resembles a human fingerprint.